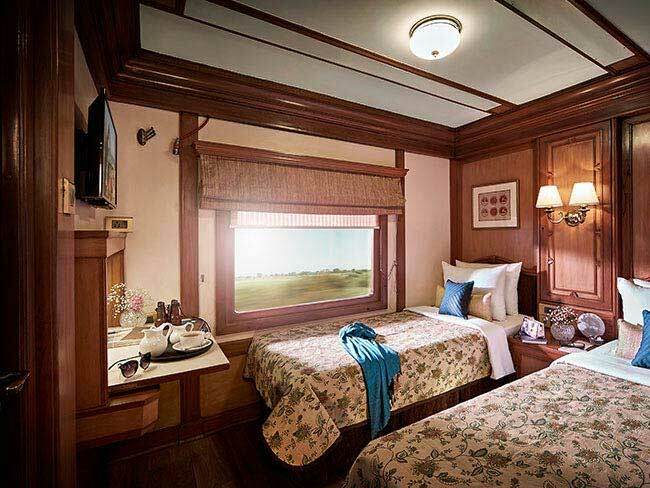 The Deccan Odyssey is well known as one of the finest and the most luxurious train in India. This journey that will take you to the neighborhoods of Maharashtra. This tour includes the visit to the beautiful Western Ghats, the fabulous Deccan region and a stretch to the central region of India. A brief highlight of the tour also includes a visit to the Ajanta and Ellora Caves which are also well known as World Heritage Sites, a visit to the Nashik- the wine capital of India, adventurous wildlife tour to Pench and Tadoba and lots more on this tour of the Deccan Odyssey. The tour of the Deccan Odyssey also includes world-class comforts, delicious and authentic food variety and an ethical royal treatment while on board the luxurious Deccan Odyssey. Arrival at Mumbai, train awaits for all the guests at the Chhatrapati Shivaji Terminus by 15:30 hours. The guests will be welcomed in traditional style with a garland and a teeka on the forehead. You need to go ahead and clear the check-in formalities and the other paper works. Settle down in the luxury train and relax. The train departs for Aurangabad by late evening. Dinner will be served and stay overnight on- board. Delicious breakfast by morning time as the luxury train enters Aurangabad which was named after the Great Mughal Emperor Aurangzeb. The city of Aurangabad is renowned for its rich art and architectural styles as is also known for various Mughal architectural gems. After breakfast, the guests can either stay at the luxurious train and enjoy some of the dynamic guest facilities provided at the Deccan Odyssey or one can also move out to a popular city hotel for a relaxing spa session. Later, at the train, the guests will be provided lunch and after an authentic lunch session you can roll out to enjoy the famous UNESCO World Heritage site of Ellora Caves, which is also known for the famous Caves and cave art and temple architecture. Inside the Ellora Caves, there are 34 rock-cut caves which are all dedicated to different religions such as Hinduism, Jainism, and Buddhism. There is also a presence of some of the finest sculptures and art formations around the Ellora Caves. The next visit follows the Daulatabad Fort which is situated on top of a hill. The Daulatabad Fort was constructed in the 12th century and this fort is well known for various well-known structures such as the Elephant Tank, Chini Mahal, Jama Masjid, Chand Minar and lots more. The guests are then guided back to the luxury train for refreshment. Dinner at City and Overnight stay on- board Deccan Odyssey. The third day of the tour starts with a mouthwatering breakfast, you will be then guided for sightseeing at Aurangabad. First, you will be guided to Bibi-Ka-Maqbara. The Bibi-ka-Maqbara is also known as a replica which represents the famous Taj Mahal of Agra. The mausoleum also well known as the mausoleum of Dilras Banu, Emperor Aurangzeb’s beloved wife. The mausoleum is also known as the ‘Taj of the Deccan’ which was built by her son Prince Azam Shah. The next visit is followed by one of the most well-known weaving centers also famous for its connection with Aurangabad's royalty by the 14th century. Lunch will be provided at the train and by late afternoon, the guests can relax for some time. The guests can also involve themselves with some recreational activities inside the train and also enjoy the facilities of the luxurious Deccan Odyssey. By evening, you can also enjoy few drinks such as cocktails or mocktails at the train lounge. An authentic dinner will be served at the train and overnight stay at the train. By day 4, the train arrives at Ramtek. The exciting visit to the famous National Park also known as Pench. The Pench National Park is well known for an adventurous activity so-called Rafting. 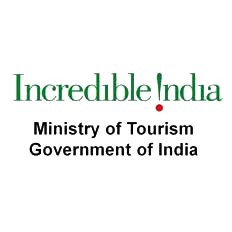 The Pench National Park also received the Best Management Award in the year 2011. The National Park is followed by the Pench River and is also well known as one of the biggest Tiger Reserve. The National Park is also rich in diverse flora and fauna and an amazing aquatic life. Some of which includes the Nilgai, Tiger, Wild Dog, Wild Pig, Sambar, Gaur and lots more. The National Park of Pench is also a home for 285 different varieties of birds which includes the pied hornbills, ospreys, white head buzzards, Indian pitas, grey-headed fishing eagles, storks, vultures and waterfowl. By the end of the wildlife trip, the guests can head back to the luxury train and have brunch on the Deccan Odyssey. Dinner will be served on board and overnight stay on the Deccan Odyssey. The train departs for Tadoba later. By early morning 7:00 AM, the train enters Chandrapur Station. The day continues with a wildlife safari at the Tadoba National Park and also a Tiger Reserve. The Tiger Reserve is also known as the Jewel of Vidharba. The National Park of Tadoba is also famous for housing a healthy population of some of the Big cats. The guests will be guided for an early morning safari where one can spot an immense variety of wildlife including wild dogs, tigers, spotted cats, leopards, sloth bears, deer species, wild pigs and also leopards. There are also 280 different variety of colorful birds which can be seen in the Tadoba National Park. A late breakfast at a wild resort. You can also watch out for a documentary on wildlife while relaxing around the lovely sceneries of the forest resort. You can also interact with one of the naturalists here. You can also enjoy lunch here and then board back to the Deccan Odyssey at the Chandrapur Station. You will be served with the different variety of cocktails and other drinks at the train and also provided with the delicious dinner. Stay overnight on board as the train starts its journey to Jalgaon as the next destination arrives the next morning. By day 6 of the tour, the luxurious Deccan Odyssey reached the Jalgaon Station. After a quick breakfast session, get ready to discover the World Heritage Site of the Ajanta Caves. The Ajanta Caves is one of the best examples of rock-cut cave temple architecture in India. There are a total of 30 rock-cut caves which are dedicated to Hinduism and Buddhism at the Ajanta Caves. One of the finest examples of cave sculptures across the whole country. The guests will also find some of the most amazing paintings, carvings, religious art and sculptures which are dedicated to Hinduism and also Buddhism. After the tour to the Ajanta Cave end, head back to the train where you will be served the lunch onboard as the train starts to proceed towards Nashik – The Wine Capital of India. You can enjoy the rest of your day in the luxurious train and enjoy its recreational activities and also some of the comforts of the Deccan Odyssey such as the Spa session inside the train, watch the latest movie, have few drinks and wine, snacks and lot more. Dinner overnight and stay on board Deccan Odyssey. The train enters the ‘Wine Capital of India’ – Nashik by early morning. The city of Nashik is also known as of the holy cities of India. By morning you will be served with a hot breakfast on the train and you can roll out to take a pleasant walk along the banks of the River Godavari. You can also witness some of the varies Hindu rituals which are performed along the ghats of the River Godavari. You can also explore some of the finest Indian local markets of Nashik. Later you can explore a popular vineyard where you can grab an opportunity to look at some of the special varieties of grapes such as the Pinot Noir, Chardonnay, and Chenin. You will also observe the age-old methods of sparkling wine production in India. Also, you will be served some of the finest white wine, red wine, rose wine and the sparkling wine by the sommelier. Back on-board the train after lunch. After the trip ends, you will need to get back to the luxury train as the Deccan Odyssey starts its journey to Mumbai. Dinner will be served on board and overnight stay. The train enters Mumbai by early morning at the Chhatrapati Shivaji Terminus Railway Station. The guests are requested to complete all the check out formalities and bid goodbye to the Deccan Odyssey.